I love Computer Music Mag - it's got great articles for all levels of knowledge and experience with great free sound packs and plugins, easy to understand tutorials, additional videos, gear and software reviews for all kinds of equipment and industry features that keep me in the loop (no pun intended) - and of course great profile articles on artists working in many diverse genres I love or will grow to love via CM exposure. I actually subscribe to the print and digital mag so that I can have the hard copies to refer back to - I have read and learned from them since I was just cutting my (sawtooth) teeth (lol) back in the 2000s. Now as a studio owner an company founder, as well as a music producer and audio engineer, I still look forward to getting my digital and eventually print copy of CM every month (my only complaint is that as someone who lives in LA, I end up getting the print mag a few weeks after the digital has been out and is already read through on my iPad and iPhone - but that's okay because I still get to anticipate its arrival like a school kid waiting on NatGeo or Highlights...thanks CM staff...and see u at NAMM at the end of the month! Cheers! Computer Music magazine has always been the best! Great tips and instructions for making and mixing music! Love having my magazines digital now so that I do not have to worry about wearing out the pages of my favorite issues! The best way to learn music production. I've been reading Computer Music for over a decade and it's the best way to learn new techniques for songwriting and music production. Including tutorials, product reviews, and a helpful Q&A section. I recommend musicians new and skilled to read Computer Music every month. And thanks to the ipad version, I now have access to hundreds of issues without taking up space in my apartment. Great mag - app not so much on iOS 8. I love Computer Music and the digital version was great until iOS 8. Now it crashes all the time. I can uninstall/reinstall but that deletes the downloaded mags and I have to start over every time. I can't get through an entire issue without it crashing and I have to reinstall and redownload the magazine I want to read again. Power cycling iOS (which fixes some app crashes) does nothing to help. Please fix the app. So frustrating but worth it for the amazing content. 5 stars once it gets fixed. A fantastic resource for those interested in digital music. Was a print subscriber for years in the USA, and had intermittent deliveries. Now, hopefully, no breaks in my subscription. Excellent .. With one gripe..
Love it. Great resource for musicians. My only gripe is that often times there is very little contrast between copy and image background and it's super hard to ready. If you use dark background, you must use white font. If you light background, use black font. As a rule, please stop using really busy background graphics that make it hard to read. It's about the copy, not the images. Content is great, sample packs are great, free software is awesome. I have been reading CM for years. 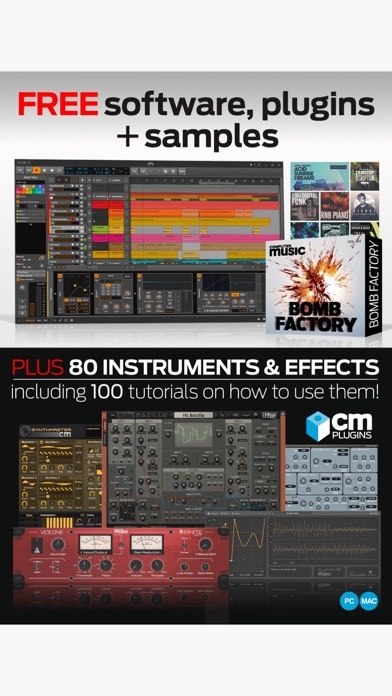 I love getting some great info, some useful samples and interesting plugins to add to the toolbox. I am on an older iPad and it does crash and take a bit to load, otherwise I love getting to read it! Thanks! I used to subscribe to future music magazine. But after my subscription ran out I couldn't find it on any newsstand it's incredible that they have Computer Music and Future Music available on the iPhone. Great freebies, good layout. I really dig it. Love the magazine and the app with videos is just awesome! Quite simply, one of the best music technology magazines I have ever seen. Generous offerings, excellent writing, and skillful illustrations make this an essential read for the modern professional. I love it. 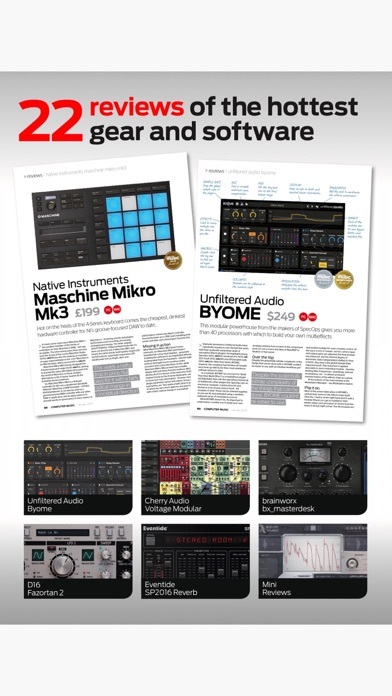 Each issue is packed with content, tutorials for all skill levels, and some seriously excellent bonus digital content including samples and plugins. Definitely recommend. On my iPad Mini 3 with iOS 11.2, this app is crashing every 20 minutes, and videos are not playing. With a paid subscription to this publication, I feel that I am not getting my money's worth any longer. Please CM, fix your app and make it useable!!! The main issue with the app is that I've had to delete and reinstall it every time iOS updates, even small versions like 8.0.1 to 8.0.2. Otherwise it crashes as soon as it launches. Something is wrong for this to happen even with minor changes. The only other issue I run into is that when I want to show/hide the page thumbnails and top nav bar, it can be hard to find a place on the page that's not also a link to another section, such as with cover and index pages. So in addition to showing the nav, it's also jumped the read point to a random location. Kind of annoying! Sure I can frequent all the forums and watch videos on YouTube but the writers are direct and unbiased. Most of video tutorials I find online are long winded and saturated with opinion and sarcasm. There is always some new nice vst and vsti and instructions on how to use them. Then there's the loops. A nice fat pack of tracks to get the creative juices flowing. When ever I find myself spinning my wheels and not able to get the music to flow through me, I pull out an issue of CM, start reading, break out a loop disc, start trying out the effects on the loops, play my keyboard with the new synth and before long I have something to work with. Thank you CM. I’m been a monthly subscriber though this app ($2.99/month) but when I download the latest issue, it sometimes tries to charge me $4.99 for regular issues as if I hadn’t subscribed. Once I clicked download too hastily and I was effectively charged twice for the same issue ($2.99 and $4.99). I wish they’d fix this glitch, and stop the overcharge. I’m very frustrated with how often this app crashes when trying to either play an embedded video or click a link. I’m using an iPad Pro, and running iOS 11. I have had the app crash no less than 20 times while trying to read one article tonight. I am finding myself regretting paying for files that cannot be opened in any other player but this buggy one, one that appears not to have been updated in over a year. I’ve been a reader for a few years now and it has truly been a joy to read. The plugins are worth the subscription alone, but their explanations are simple, concise, and tailored around helping you apply the techniques you learn to your own music. Most of this app works well. And it is a great way to store your magazines. But the video portions of all of the computer music videos take forever to start, and if you try to fast foreword it'll free entirely and the app will crash. This is a great app especially the way the video is all embedded in the magazine. However, there are a couple of things that are very annoying: 1. To much advertising. Bring me directly to my library! It makes me want to use the Nook app instead because you aren't constantly being bombarded to purchase something. If I want to purchase something, I will look it up or ask. 2. The bookmarks should just be something touch sensitive in the magazine you are reading. I suggest looking at the Nook and Amazon apps for a good example. Make it simple. It is very convoluted and non intuitive. 3. An article viewer instead of just graphics would be nice. Well, these are minor issues that certainly don't overshadow usefulness of the app. This is the best music magazine that i ever read! Great articles about music making and reviews of plugins/hardware/sample packs, all with great downloads and very nice videos! Get it now!!!! Top-notch reviews and tutorials. Best magazine of its kind. Great mag great app! A must have for any Computer Music Fan!!! UPDATE Sept. 6, 2015: First of all the quality of the content hasn't changed - editorially the magazine is the same. What has changed is the app. It's getting slower, fatter, more bloated, and frankly just worse with each and every update. It feels like it's due to just sloppy programming and development. It's just slow now and kind of leaves you feeling like a crash is always just around the corner, always. There is also the "New Issue" indicator dot which is permanent now and annoying. Yes, even if every issue has been read, it displays the indicator. OLD REVIEW: "To Haukur & Memphidelity" You're both absolute morons. The app IS free, were you charged anything for downloading it? More importantly, did you even bother to read what you were downloading? No, you obviously didn't. 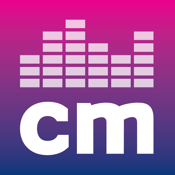 Why on earth would CM be completely free to read? The app you downloaded is just the vessel to deliver the content. It clearly explains everything in the description. Yet you give a perfectly good and perfectly functioning app 1 star because of YOUR STUPIDITY. Next time you're in a bookstore, please raise heII because you can't have the mag for free. Idiots. Quit being so "rate happy". Great content, lousy App, paid for and downloaded magazines keep vanishing and will not allow reading. Thinking of abandoning it. I killed the magazine subscription as the credit card purchasing system stopped working for me. I cannot be bothered with waste of time applications. If you are wondering why this app has a good rating, it's because they are asking people in app to provide a rating, and then only if a high rating was given they forward you to the App Store. CM Where Have You Been All My Life? I've had these songs rattling around in my brain for years and my life's desire has been to have them make that trip into my ears (and into everybody else's, of course!) Since the public only knows professional production and the environment is unforgiving, discovering CM has given me hope that I can actually pull this off! Thanks CM!!! The best thing about this magazine is the free software. I have a few staples in my collection that I got fork the mag. 2nd, the articles help a lot, 3rd would be the samples that are provided. Amazing value, couldn't recommend it enough for anyone that uses a computer to make music. I've been reading Computer Music for many years. There's always more to learn in any discipline and Computer Music is always reliable as a compendium of tried & true techniques and the cutting edge of technological advances. Much preferred over its American counterparts (and if you've taken the time to read this, you likely know which magazines I mean). Five stars well earned. The interactive content is great and the and the effort put behind bringing the magazine to a new medium is appreciated. The app framework they are using needs a kick in the behind. Random crashes and other issues bring down the good quality of the mag. 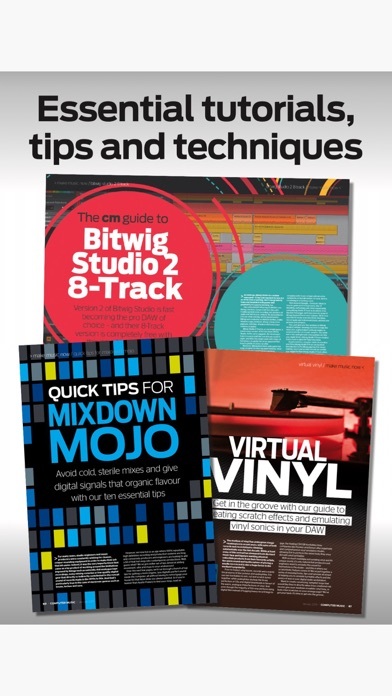 Must read for all home studio producers. Worth it. Thoughtful, concise articles every month. Great downloads from site. Easy to use. 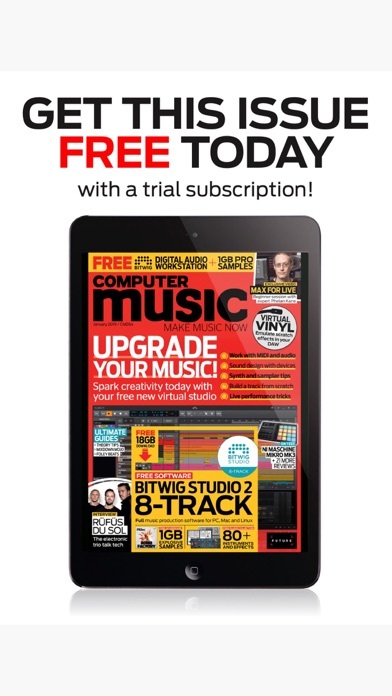 I love Computer Music magazine on the iPad, particularly for the embedded video player. 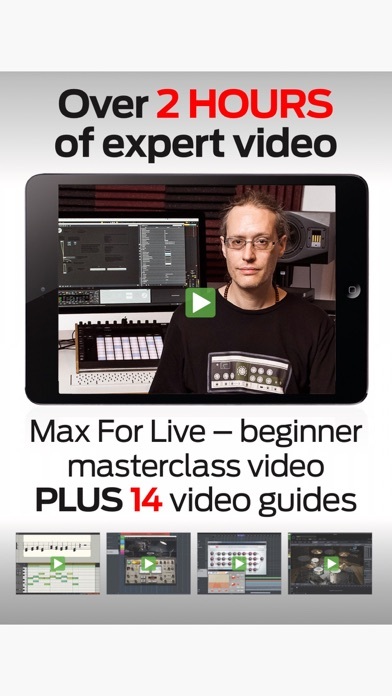 Watching music production tutorials easily inside the magazine instead of only reading them is a huge deal. However, this app is starting to hang while turning pages, takes a really long time to load the startup screen's current magazine details, etc... on my ipad 3. According to recent tablet sales figures, most people, myself included, do not plan to update their tablets anytime soon. Please make sure the latest app updates work well with older iPads. It's a magazine: page loading should be snappy and responsive to make for a leisurely experience. So what's wrong with showing a proper sized preview? Check out the Cooking Light app, now! While not perfect, there one thing that sets this app millions of miles above the rest. FULL PAGE SAMPLES!!! Because it doesn't have the micro-view offered by Zino and other Newsstand apps you can actually SEE what an issue offers. You almost want to buy every issue, matter of fact I'm getting a subscription! Imagine-FX, Guitar Techniques, Official Xbox Magazine, Zino and Future Publishing, pay attention and see how it's done right. Bravo Cookling Light Magazine! Great mag in the stores, but the jury is still out with the app. The previews for issues you can get are way to small to see what is being offered. The least they could do is make the cover and the tale of contents bigger. Come on, do you want me to buy more or not? So what's wrong with showing a proper sized preview? Computer Music, Rocks! Subscribe now! 1- Quality instruction. This mag has the most educational resources I've ever seen from a magazine. There are tutorials, downloadable DAW files, and detailed videos that ensure you've got a grasp of the concept. 2- Free monthly downloadable effects and instruments. Just go to their site and punch in the information to receive monthly goodies. 3- Advanced content. I was certainly expecting to see articles about how the filter works or compression... Did not expect stereo imaging. Wow! Grab it now. It's worth it. Ios 11.1 is causing this to crash when backing out of magazine or exiting a video from or scrobbing a video.